Directing drama for the single camera is like no other form of Filmmaking, or any other medium involving actors. Experience in documentary or theatre may provide useful clues, but the techniques for drama film directors, although not basically complicated, are unique. 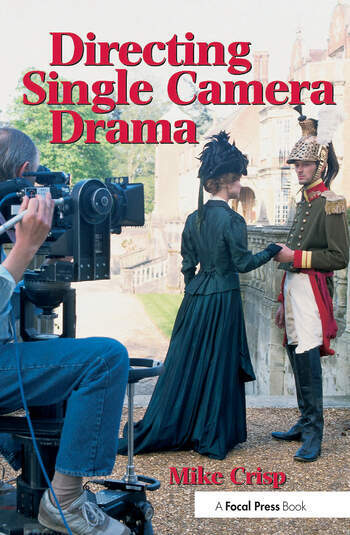 Experienced directors in other spheres of directing will find this book invaluable if they wish to move into single camera drama, as will students setting out on their careers. Directing Single Camera Drama is a synthesis of the skills required to bring drama to the screen. A unique feature of the book is the inclusion of ten short film drama scripts which need only half a day's rehearsal and one short day's filming. Each have their various technical demands, and they are arranged in ascending order of dramatic and creative difficulty. They can be photocopied and used for non-broadcast training drama exercises. Mike Crisp worked as Production Manager, and later Director, on many classic BBC TV series, such as Fawlty Towers, Porridge and Steptoe and Son. He was, for 10 years, a senior producer with the BBC's TV Training Department. He is the author of The Practical Director now in its second edition and also published by Focal Press. Introduction * Location filming * The Directors Role * Sound * Cinematography: What the Director needs to know about it * Storyboards * Filming Dance * Directing * Appendix: 10 Sample Scripts * Glossary of Terms.